Wash all your worries away and make great savings with our range of high quality washing machines! Selected from brands such as LG, Electrolux and Fisher & Paykel- brands you know and love for home and kitchen appliances, you can be sure they truly deliver with innovative technology. With our constantly reduced prices compared to retail stores, you will always find a deal with us that won’t break the bank. Do you need a top loader or a front loader washer? Whatever your washing needs are, we will have the perfect product for you in our wide collection of appliances. 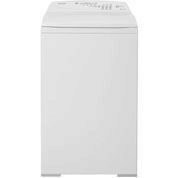 At various capacities, pick a washer with us that would be ideal for your average house load, we have both smaller and larger sizes. Different washing systems and settings will ensure your clothes and garments are washed efficiently the way you prefer, suited to your schedule. All our products come with warranties so you can be sure that they will truly last you and your household a long time. Don’t even worry about getting someone to help you pack and load your appliances to your car. Just make your order with us and we will handle the rest. We will deliver your order to you no matter where you are in the country, no matter the size. We ship to all major cities and regional areas. If you have any inquiries about our range feel free to call our customer service line or drop us an email.